Greek mythology helms some of the greatest stories ever told. Many of those serve as a foundation for the stories we read today. The story of Hercules is one staple of Greek mythology that many remember to this day. However, those who see Renny Harlin’s The Legend of Hercules will remember this tale for reasons that aren’t so appealing. Many filmmakers have taken an honest stab at a Greek mythology production. This attempt by Harlin is a story similarly comparable to the myth. 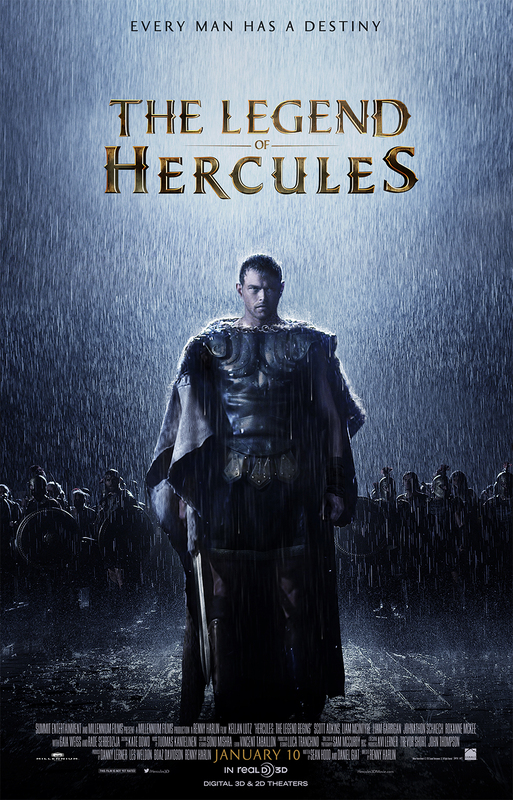 Hercules (Kellan Lutz), born to Alcides of Alcmene (Roxanne McKee) and Zeus, emerges into the world as a half-god who sought to help those in need, but is abused by those who took advantage of him. He is detested by his power-hungry, adoptive father Amphitriyon (Scott Adkins), and is shipped off to war against his wishes as his older brother Iphicles (Liam Garrigan) stays behind. Hebe (Gaia Weiss) is the love of Hercules’ life, and he’ll stop at nothing to return to her. The film carries on with this motivation, but quickly loses traction as soon as the plot thickens. An appreciation can be granted to an effort by a production team to create an original take on a popular myth. However, with a concept and backstory that’s rich with development, it seems that one must actively put forth effort to produce such a tragedy, no pun intended. 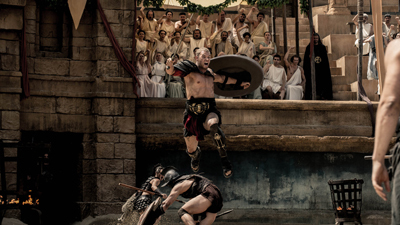 Playing off a similar theme with the impending release of 300: The Rise of an Empire, it seems that The Legend of Hercules attempted to serve as the first film of 2014 laced with special effects and an overly saturated color scheme. Sad to say that it honestly failed. Usually one can pick out one or two threads of silver lining aesthetics in a “bad” film that will allow it to fall with grace. That is not the case here. The Legend of Hercules could easily enjoy success as a bad movie with unnecessary special effects. Netflix and the SyFy channel would see this film as a potential goldmine with a cult-like presence with their audiences. The film obviously holds a higher budget than that of Sharknado (2013) or Two-Headed Shark Attack (2012), but it possesses the same lackluster acting performances and atrocious dialogue that the former have accepted as a selling point. An audience could definitely enjoy the action that takes place here, but I doubt they’d be willing to pay theater prices to see performances and a story that their kindergarten offspring could outdo. The 3-D format doesn’t provide anything more to the story, production value, or experience other than a mild case of nausea. You forget you’re watching 3-D after a while until a sword or spear flies at you. You’re not missing much, that I promise you. The Legend of Hercules is a fun ride, but only for the sheer enjoyment of a bad film that one can enjoy in the company of good friends and significant others. Not even the god of all gods could save this movie. The Legend of Hercules opens today in Philly area theaters.